Need some Confidence to Ride Again? 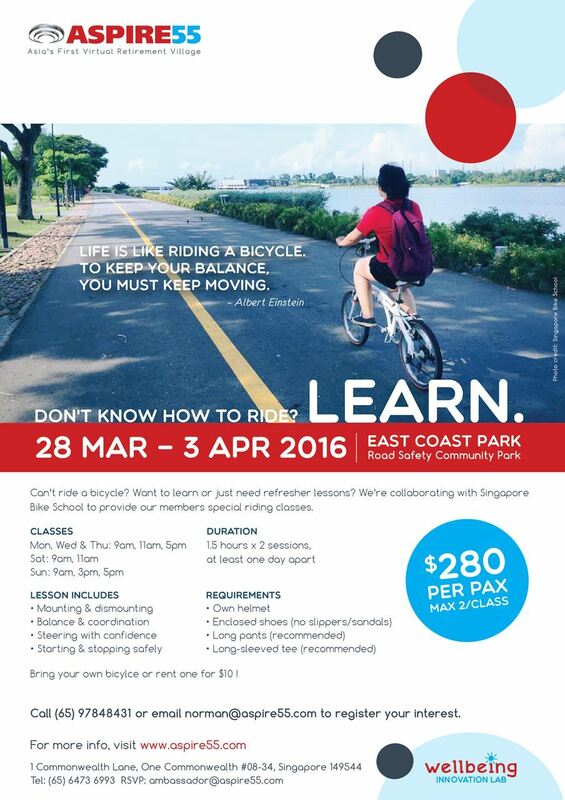 Due to members' request, we have arranged cycling lessons with Singapore Bike School to enable members to learn to ride and subsequently, join us for our future cycling excursions. Book your preferred 2 session slots (1.5 hours per session) and it's almost a private class - max. 2 members to 1 instructor!